The University of Coruña was founded under the Galician Universities Law 11/1989 on July 20th, 1989. The Constituent Assembly passed the University Statutes on the February 4th, 1992and these were published in the Official Bulletin (DOG) on September 17th, 1992. 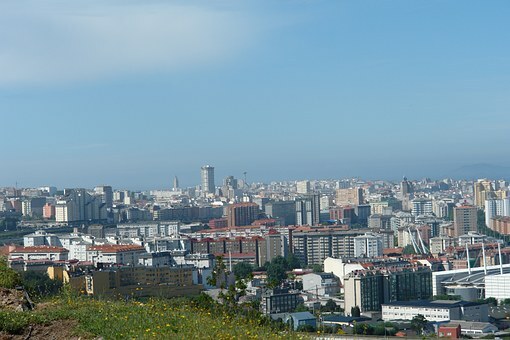 The University of Coruña is territorially situated in the Campus of Coruña and the Campus of Ferrol. The University of Coruña is a public institution whose primary objective is the generation, management and dissemination of culture and scientific, technological and professional knowledge through the development of research and teaching. The University of Coruña conceives its essential purpose as a quality public service aimed at achieving greater levels of welfare for the group of the society through the pursuit of social, scientific and technological advances in a framework of ethical values. Part of its mission is the formation of an open, critical, democracy and solidarity citizenship, capable of analyzing reality, diagnose problems, formulate and implement solutions based in knowledge and oriented to the common good. The University of Coruña explicitly expresses its commitment to the study and the integral development of Galicia, its social, cultural and linguistic identity, and it will promote its full integration into the European Higher Education and the projection in Latin America. The University of Coruña Foundation, a private charitable and academic foundation, has been created in order to provide the University with permanent social support. The role of the University of Coruña is to aid the cultural, social and economic progress of society through the encouragement, management and dissemination of cultural, scientific, technological and professional creation. Its mission is to deliver high-quality, Galician public service. Central to that mission is the education of open, knowledgeable, critical, engaged, democratic and cooperative citizens, with a strong sense of solidarity and the ability to analyse their reality, identify problems, and propose and implement solutions based on knowledge and understanding and the common good. The creation, development, communication and critical analysis of science, technology and culture. Preparing students for professional life through the teaching of scientific and artistic knowledge and practice. The transfer, dissemination and promotion of knowledge for the advancement of culture, quality of life and economic development. The dissemination of knowledge and culture through University outreach and lifelong learning. Establish strong connections with the whole community, in order to understand its needs and respond to the changes taking place in our society. Collaborate with all social partners and public and private bodies to examine, identify and provide solutions to the challenges facing our society. Open up channels of active solidarity, with a strong commitment to environmental protection and sustainable development through innovation. Offer training and education tailored to the present and future needs of our society, and adapt that learning to the individual developmental needs of each student through the promotion of effective, innovative teaching methods to guarantee the acquisition of the abilities and competencies demanded by our degrees. Help students to develop skills that enhance their employability at a local, national and international level. Support the creation and development of national and international networks of basic and applied research groups for the promotion of scientific, technological, economic and social progress. Be recognised for the research carried out at the University and the innovative knowledge transfer strategies and initiatives made possible by the technical and scientific services of the UDC Technology Park. Combine the promotion of general knowledge in all fields with specialisation in the areas of science and technology where the University is strongest. Manage our resources fairly, efficiently, productively and transparently, and work to ensure stable and sufficient funding from the State, with supplementary financing through our partnerships in the private sector. Enhance the reputation of UDC abroad based on our teaching and research activities. Promote a system of strategic management in order to achieve our collective objectives in collaboration and consultation with the whole University community. Equality of opportunity, based on the principles of merit, ability, equality, universal access to third-level education and promoting a culture of non-discrimination. 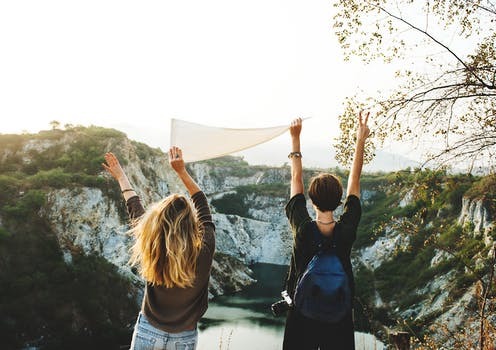 Personal effort as one of the key aspects of individual advancement and development, and the ability to find a balance between personal desires and the ability to satisfy them, as an aid to problem-solving, conflict resolution and the achievement of collective goals for the common good. Participation in the decision making process and the promotion of channels of communication between all members of the University community, as a way of maximising all available talent and resources. Social responsibility and commitment, as a way of contributing actively to the improvement of the socio-economic situation of our community and the creation of greater economic well being in society as a whole. Commitment to Galicia and to the transformation and development of Galician society: to create, protect, communicate and transmit the artistic, urban, architectural, documentary and linguistic heritage and culture of Galicia. Respect for the environment, as a socially responsible university, maximising and managing the resources at our disposal as efficiently as possible, to minimise environmental impact. Efficient use of public resources to ensure they are used to best effect to meet the needs of society and in the interest of the common good. Quality as a core objective, with a collective will and desire to work to achieve higher standards of teaching, research, management and services, in the interests of greater social well being. Transparency as a mechanism of accountability, to account for all decision and actions taken by the University. This university master's degree will enable you to achieve the necessary training to perform professional activities for your own account or for others in the area of ​​Accounting and Auditing. The curriculum includes the subjects referred to in the Resolution of 12 June 2012 of the Institute of Accounting and Audit of Accounts (ICAC), for the purposes of its validation as the first phase of the tests of access to the inscription in the Official Register of Auditors of Accounts (ROAC) and to the full exercise of the regulated profession of auditor of accounts. Current biotechnology includes a set of very sophisticated techniques and technologies, which are replacing the classical methodologies, favoring more immediate results and allowing to tackle new challenges unthinkable until a few decades ago. Today, highly qualified professionals are required to face the new challenges facing this biotechnology sector, both in business and research. The objective of this degree is to provide postgraduate research training. The curriculum consists of 60 European credits and is designed to obtain the degree in an academic course (from October to July), although it is also foreseen that it can be studied part-time, simultaneously studying with work, in which case the Duration would be two courses. You can choose the specialties of "Health Psychology" or "Psychological intervention in educational contexts", which, in turn, have continuity in the respective doctorates to which they give access, allowing students to extend their training to the Obtaining doctor's degree. Since its establishment as a differentiated discipline in the field of social sciences, Sociology has had an applied nature aimed at guiding decision making in companies, public administrations and third sector organizations. All these entities demand analysts and experts in obtaining and managing social information that allow them to understand the behavior of individuals in different spheres, from the economic to the political, from the social to the cultural. This Master has been designed to provide the student with advanced, specific and multidisciplinary training geared towards academic training, research and professionalization in Aquaculture. It will provide students with the basic knowledge, skills and skills that will enable them to design and carry out research in the field of aquaculture, design, manage and control marine and continental facilities, assess their environmental impact and respond to R & D & I of the sector, implementing strategies that allow the future development of the aquaculture industry. The Master's Degree in Architectural Rehabilitation Is an official cycle of studies of annual duration whose purpose is to offer advanced training in the areas of inspection and intervention in the built heritage. The University of A Coruña presents the Master in Banking and Finance With validity in all the Spanish territory. The program is structured in an academic course of 60 ECTS credits, in which all subjects are quarterly. The general objective of the Master in Banking and Finance is to provide advanced academic training in the financial field that allows students to become future multipurpose professionals with high technical qualification and management skills. The Master in Bioinformatics for Health Sciences Has as its objective the training of researchers and professionals in the field of Bioinformatics and Bioengineering with special emphasis on its biomedical aspect. The Master's Degree in Chemical and Industrial Chemistry Research Has an interuniversity character and is taught by the universities of Santiago de Compostela (USC, coordinator), A Coruña (UDC) and Vigo (UVI), with the collaboration of the Official College of Chemistry of Galicia. This Master's degree includes a research orientation (five specialties) and a professional orientation, with a duration of one year (60 ECTS). The Master's Degree in Computer Engineering (MUEI) Is the official master's degree, of a professional nature, which culminates the process of adaptation of the Faculty of Informatics of the UDC (FIC) to the EHEA and ensures the acquisition of all the skills that must have a degree in Computer Engineering , Following the recommendations established by the professional framework. The Master is of international character and offers the possibility of obtaining a double degree with the Polytechnic Institute of Bragança - Portugal. The University Master's Degree in Road, Channel and Port Engineering Is an adaptation and improvement of the last courses of the previous degree of Engineering of Roads, Channels and Ports adapted to the European Space of Higher Education. The Master's Degree in Civil Engineering, Civil Engineering, and Civil Engineering, is a part of the Master's degree in Civil Engineering and Civil Engineering. He has been awarded the Master's degree in Civil Engineering, Civil Engineering and Civil Engineering. 1991 to present. The Interuniversity Master in Geoinformatics By the Universities of Vigo and A Coruña was born as a title of high specialization to train professionals oriented to the market of the geospatial industry. The geospatial industry is one of the fastest growing sectors in recent years due to different applications related to global positioning systems, geographic information systems, mobile devices or satellite remote sensing. The title Master's Degree in Industrial Engineering Provides the necessary scientific and technological knowledge to access the positions of greater responsibility in the industry, being the continuation of the official qualifications of the degrees in industrial engineering. This is an official Master's degree with professional orientation with the competencies established in Order CIN / 311/2009 and therefore qualifies for the exercise of the regulated profession of Industrial Engineer. The master's degree allows direct contact with the groups and research programs that are developed in the School and that have their continuity in the doctorate. The Interuniversity Master of Industrial Mathematics (M2i) is organized by the three Galician universities, together with the universities Carlos III and Polytechnic of Madrid. It consists of the specialties of Mathematical Modeling and Numerical Simulation. The title is obtained after exceeding 90 credits, of which 30 correspond to the Master project, which is developed in collaboration with a company. The training needs at the masters level of professionals in Industrial Mathematics are highlighted by both the EU and the OECD in its Global Science Forum document. Report on Mathematics in Industry. Management functions are one of the new perspectives for the future, both for the productive sector and for services. The preparation and proper training of managers through project management techniques and their implementation are key factors in progress, moving towards an improvement in the competitiveness of companies and the quality of products and services. The Master's Degree in Literature, Culture and Diversity Is an official degree, of 60 credits and with a duration of an academic course. It is taught in the Faculty of Philology of the University of Coruña, in two semesters: in the first are compulsory modules; In the second, the specialization module and the final master's work. The Master's Degree in Management, Management and Innovation of School and Socio-educational Institutions, Is a master's degree proposal from the University of A Coruña (UDC) that covers new training needs derived from the educational transformations of the LOMCE implementation process, as well as the need to foster critical and entrepreneurial professional cultures in the socio-educational, From commitment to improvement in managerial and innovative tasks in management in line with the organizational and social demands of a plural and complex society. The Management and Labor Management, can be analyzed from multiple perspectives: legal, technical, psychological, sociological and economic, among others. The clearly multidisciplinary nature of this training implies the articulation of the proposed master studies, with a wide variety of degrees of access (degrees, degrees, diplomas and engineering) in fields mainly from the branches of social and legal sciences. This master's degree aims to train professionals in tasks related to marine biology and improve the training of those already engaged in these activities. The aim is to train research personnel for their incorporation into scientific research centers in marine biology, or to the research teams of public, private and corporate bodies. The official title of Master in Marine Engineering, Aims to provide the technical know-how that a Marine Engineer must have, including training in management techniques, re-design, assembly, operation and maintenance of marine systems and vessels. The studies are part of a specialization profile in the field of technical activity, which will also allow the student an orientation towards doctoral studies and research. The official title of Master in Marine Engineering and Maritime Transport Has the objective of completing the level of specialization of nautical professionals, as well as providing the degree of specific training that must have a graduate of the technological, legal or economic field to develop professionally in the field of maritime business. The title Master's Degree in Naval and Oceanic Engineering Provides the necessary scientific and technological knowledge to access the positions of greater responsibility in the marine industry, being the continuation of the official degrees of degrees in Naval Architecture, Engineering in Propulsion and Services of the Ship and Naval and Oceanic Engineering. This is an official Master's degree with professional guidance with the competencies established in Order CIN / 354/2009 and therefore qualifies for the exercise of the regulated profession of Naval and Oceanic Engineer. The high unemployment and non-labor loss figures, the prevention policies being promoted by the European Union and the need to train professionals as professionals in prevention of occupational risks and common risks, act as real factors that show that the supply Of masters of specialization in this field are being demanded with greater insistence over time. Following the publication of RD 337/2010, which amends RD 39/1997, which approves the Regulation of Prevention Services; It is established that the training required to perform higher level risk prevention functions must be accredited by a University. The proposal to create the Master in Social Policies and Sociocommental Intervention (MOPS) Emerges as an alternative to the Master's Degree in International Migration: Research, Migration Policies and Intercultural Mediation (MOMI), which is in extinction after seven academic courses. The formation of the new title, more oriented towards social policies, social exclusion and social and community intervention arises from the need for emerging demands for professional qualification, but also for updating knowledge on the part of academic-scientific, Action in the face of emerging social problems today. Master that offers specific training in Specific Didactics, of great interest for a broad group: graduates of Master's degrees, many already practicing professionals; For new graduates in Early Childhood Education and Primary Education, as well as for other training profiles). The theme is, therefore, of great interest for people related to the educational field. At the end of this degree, you will be able to establish and develop the knowledge acquired in the current degree programs in Primary and Secondary Education as well as those acquired in the old diplomas. The Master's Degree in Statistics Techniques Is organized by the three Galician universities and is taught face-to-face in the Faculties of Computer Science (A Coruña), Mathematics (Santiago de Compostela) and Economics and Business Sciences (Vigo). A videoconference system allows attendance to all classes from a single Faculty. It lasts for a year and a half. This master's degree, started in 2007, comes from an Official Postgraduate Program with Quality Mention in his studies leading to the title of doctor. Its training objectives are equivalent to those of the best proposals of our European environment. The Master's Degree in Sustainable Building (MUES) Is a one-year official study cycle designed to train professionals in the areas of sustainability. The Inter-university Master in Advanced English Studies and its Applications (iMAES), run by the Universities of A Coruña (UDC), Santiago de Compostela (USC) and Vigo (UVigo), is an accredited programme which meets the high standards of excellence of the European System of Higher Education. Classes are held at each of the three organising universities so that students can choose the location and schedule that best suit their needs and interests. The Master provides an academic training that allows a specialization, after obtaining the degree of access to experimental or health sciences. In the scientific field, the student who completes this Master will be prepared to work in research laboratories requiring cellular, molecular or genetic skills. The student will also be able to continue a researcher carrier and access to a Ph. degree training program. In the professional field, the Master allows the training of specialists for advanced job positions in the distinct sectors of R&D: clinical or bio-industrial, and also in the higher education and in the public administration. The broad experience achieved by the Universities of A Coruña and Magdeburg in the training of Civil Engineering and Water Engineering professionals within the last decades has culminated in the development of a Joint International Master Degree meeting the requirements of the European Space of Superior Education set by the Bologna Treaty. At the moment there is an increasing need for qualified professionals in the field of Water and Environmental Engineering that posses not only high skills in this field of expertise but that also own qualifications that allow them to develop their professional activity within an international environment. El Máster Universitario en Profesorado de Educación Secundaria Obligatoria y Bachillerato, Formación Profesional y Enseñanza de Idiomas, es un título de la Facultad de Ciencias de la Educación que pertenece al área de Ciencias Sociales y Jurídicas. El Máster requiere la realización de 60 créditos ECTS, teórico-prácticos. Estos créditos se distribuyen de la siguiente manera: Módulo Genérico (16 créditos), Módulo Específico (26 créditos), Practicum y Trabajo de Fin de Máster (18 créditos). The Master's Degree in Compulsory Secondary Education and Baccalaureate, Vocational Training and Language Teaching, Is a title of the Faculty of Sciences of the Education that belongs to the area of ​​Social and Legal Sciences. The Master's degree requires 60 ECTS credits, theoretical and practical. These credits are distributed as follows: Generic Module (16 credits), Specific Module (26 credits), Practicum and Master's End Work (18 credits). Avd. Ernesto Che Guevara, 121. Avda. 19 de febrero, s/n.